Tijuana (Agenzia Fides) - In conjunction with International Women's Day, 8 March, the Congregation of the Missionary Sisters of San Carlo Borromeo (Scalabrinians) launches a new apostolic initiative: the "Itinerant Service" established with the recent reorganization of the Congregation, which will operate on the border between Mexico and the United States of America. As the note sent to Agenzia Fides explains, the itinerant service is a sort of "first aid service" that moves in relation to the various migratory emergencies that occur in the world. The aim is to participate in the management of migratory emergencies where solidarity, prayer and caravan accompaniment are developed. 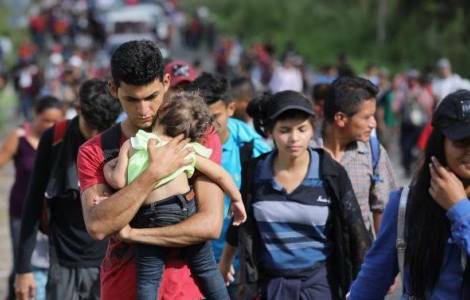 The itinerant service will operate on the border between the United States and Mexico: for three months in Tijuana and Ciudad Juarez, thanks to the collaboration with the Mexican Caritas, then for another three months it will be in Tapachula. There will be three religious women who will participate in the initiative: one with a past as a formator, one with a past among the migrants of Chicago and one with experiences lived among the migrants of Latin America. "They are three nuns who had a special experience and who will now carry out their mission in a particularly difficult border for migration - explains Sister Neusa de Fatima Mariano, Superior General of the Scalabrinians, in the text sent to Fides -. Our commitment is mainly aimed at migrant women and minors, the weakest groups suffering from major problems when they are forced to move from one place to another".